Last week I completed an upgrade of the Oracle database in our Production environment. We only have a single application running on our Oracle database as compared to numerous applications running against SQL Server, so I’m not nearly as familiar with working in Oracle. To put it bluntly, I was quite nervous to do the upgrade, and practiced several times in our Test environment before proceeding with the Production upgrade. I was nervous for good reason because the upgrade did not go smoothly at all. I needed a new user created. We currently had a domain user running the existing Oracle database service, but the installer complained that the existing user had some flavor of domain admin rights, and it would not let me proceed with that user. Our startup parameter file had a parameter called os_authent_prefix, which was set to doman\. When the upgrade ran I kept getting error messages caused by the \. I guess the upgrade assistant was not smart enough to deal with it, so I removed that parameter before the upgrade, then added it back in afterward. This is an important note! If you are doing an upgrade in the Windows environment, you will probably run into this issue. I had to set the job_queue_processes parameter to a higher number, 100. I dropped a few deprecated startup parameters, remote_os_authent and cursor_space_for_time. I ended up adding the remote_os_authent back in after the upgrade had completed. Lastly, Before the upgrade I compile invalid objects with the UTLRP.SQL job and emptied the Oracle recycle bin. In addition to those issues which were causing the upgrade process to completely bomb, once I fixed them and got the upgrade to complete I had some cleanup, including the PATH and TNS_ADMIN environment variables, which had to point to the new Oracle home folder structure, and the tnsnames.ora and listener.ora files in the new Oracle home needed to be updated. By the last practice attempt I was getting through the upgrade process in around an hour. Finally, the night arrived for the Production upgrade. The application is only used during business hours, so I started it at 5 PM once the normal users were finished for the day. The first thing I noticed is a difference in Environment Variables between our Production and Test environment. Production has the ORACLE_HOME environment variable set, and Test does not. This somehow caused the first upgrade attempt to completely fail. Not only did it fail, but it somehow erased the OracleDB service from the list of services in Windows. It took me quite a while to get it back and working again so I could make a second attempt at the upgrade. Although I received some error messages, this one did end up completing successfully. The one thing I wasn’t expecting though was the amount of time it took. While the database that was the same size but on inferior hardware took less than an hour to install in the Test environment, in our Production environment it took well over three hours to install. I had to perform similar cleanup on the Production environment as in Test, but I also ran into one additional hiccup. After the upgrade I found all accounts except for sys were expired and locked. Now, unlocking an account is not a big problem, but there is not good way to unexpire an account. This is a big problem because many of the accounts can be service accounts, where no actual user is signing in. So no prompt for a new password, and no way to unexpire. Fortunately I found a great workaround on a blog post by Simon Krenger. This method involves replacing the existing encrypted password with that same encrypted password. Once I executed the SQL output by his method, all the accounts were unexpired. The last step was to gather stats on the relevant databases, and the upgrade was complete. Last week I was feeling burnt out. We’d been having numerous issues pop up at work and it was taking its toll on me. I felt constantly mentally fatigued and knew I needed some time to myself. My wife could sense I needed some relaxation, so she took the kids to her aunt’s house and let me have some solo time. I considered going down to Pewaukee to try and catch some muskies, but the water temp is peaking over 80 degrees, which is the max you should fish for muskies. Any warmer than that and they are unable to properly recover from the fight and could end up dying, even if it isn’t for a couple hours after they are released. 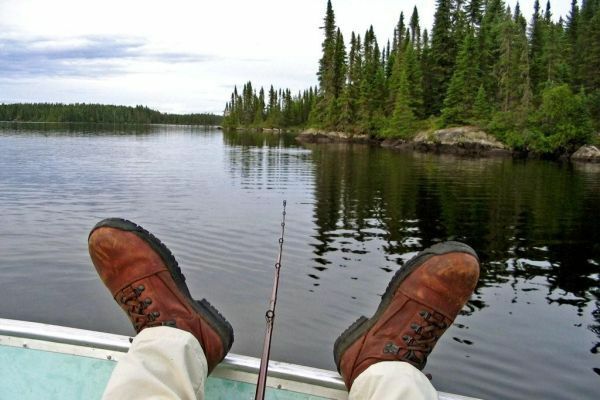 Besides, I needed to just relax, and while muskie fishing is an awesome sport it really isn’t very relaxing. 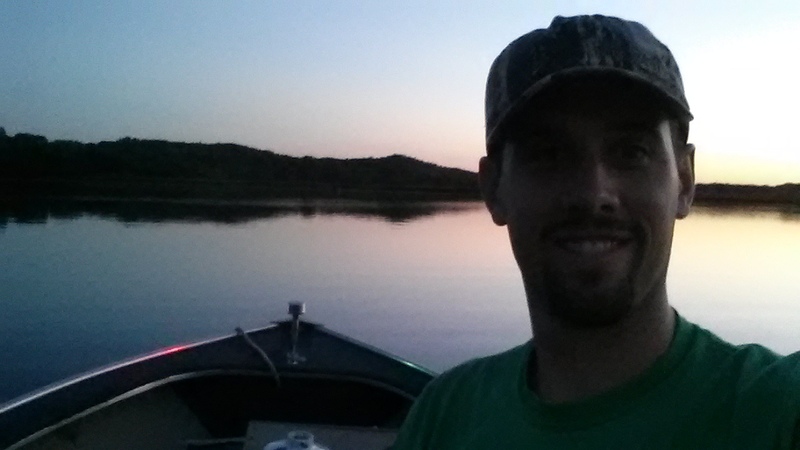 So I headed over to Little Cedar Lake to shoot for some walleye, largemouth bass, or northern pike. While I only managed one medium sized bass, it was great to just sit back and sip a few beers while enjoying the lake air and beautiful scenery. Since that night I have felt much more refreshed and ready to get back to work. We have been doing some server upgrade/migrations the last several weeks. We purchased a new server and needed to move our production instance to it. We don’t have any kind of high availability, and were able to tolerate a system outage of four or less hours. The first thing I did was to practice extensively using our Test environment. I did the cutover in Test several times. I was confident going into the upgrade that I would be able to complete it successfully. This upgrade was slightly more complicated in that in involved moving some databases to different drives during the upgrade process. Not only was I going to move the system files from the C: drive to the data file and log file drives, but I also needed to move tempdb from the G: to the F: drive and move data and log files into differently named folders on the D: and E: drives. Stop the application services. This will close existing connections to the user databases. Stop the data warehouse transfer process. We use a third party tool to move data from our Production SQL Server instance to our Oracle data warehouse. Take full copy-only backups of each user database. After taking each backup, take the database offline to prevent new connections and changing data. Take full backups of all system databases. It is important to do them after the user databases so that msdb has records of the latest user database backups. Move all system database using SQL Script below. Create and restore all user databases using SQL Script demonstrated in other blog post. Shutdown new and old server. System Admin changes the name of the old server to whatever, then changes the name of the new server to what the old server used to be. He also updates the IP of the new to be what the old was. This way we don’t have to change any application settings. Bring up Reporting Services on new server. I will explain the intricacies of this step in a later post. Begin testing everything – application, SSIS, SSRS, and SQL Agent jobs. --		This will just open Master database. --End SQL Service, then start the service normallyy. --At this point all the system databases should be transfered to New Server. As I said, the migration went pretty smoothly. I did have a few hiccups that should have been tested weeks before the migration, but I missed them. I was able to get them working within a day of the migration, and next time I’ll get them right away. The first was the database mail, which took me an extra hour to get set up right after the migration. The second was a linked server. This was a bit tougher because I had to install the Oracle ODBC driver, and this required a SQL Server reboot.